Oldřich Martinů was born in the Czech Republic in 1965. He joined the Czech Police in 1986. Over the next 10 years of service in various positions of public order and later the criminal police, he reached the rank of Counsellor at the Directorate of the Czech Criminal Police. During that time he graduated (in 1990) from the Faculty of Public Order. He continued his studies and graduated in 1995 having followed studies in Criminal law and Public law at the Faculty of Law, Charles University, in Prague. Between 1997 and 1999, Mr Martinů was the Director of the Czech National Central Bureau of Interpol at the Police Presidium. Between 1999 and 2002, he served, on promotion, as the Director of the Police Directorate of Central Bohemia. He thereafter served as the Deputy Police President at the Police Presidium of the Czech Republic. He was appointed Police President of the Czech Republic in 2007, a post he held for over three years. As the Chief of the Police, he reported directly to the Minister of Interior responsible for the full range of activities of the Police of the Czech Republic in the field of national security and public order. Together with the Minister of Interior he implemented a reform of the Czech Police with a focus on streamlining police services to reach a higher level of safety and security. Mr Martinů also represented the Police of the Czech Republic’s internationally. He was the Czech Republic member of the Europol Management Board and a representative at the General Assembly of Interpol. Prior his appointment to Europol, Mr Martinu worked at the Police Presidium of the Czech Republic, where his activities focused mainly on EU police cooperation matters. 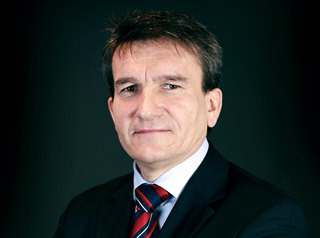 In November 2011, he was appointed by the Council of the EU to his current post as Deputy Executive Director of Europol, with specific responsibility for Governance matters. Mr Martinů speaks Czech and English.